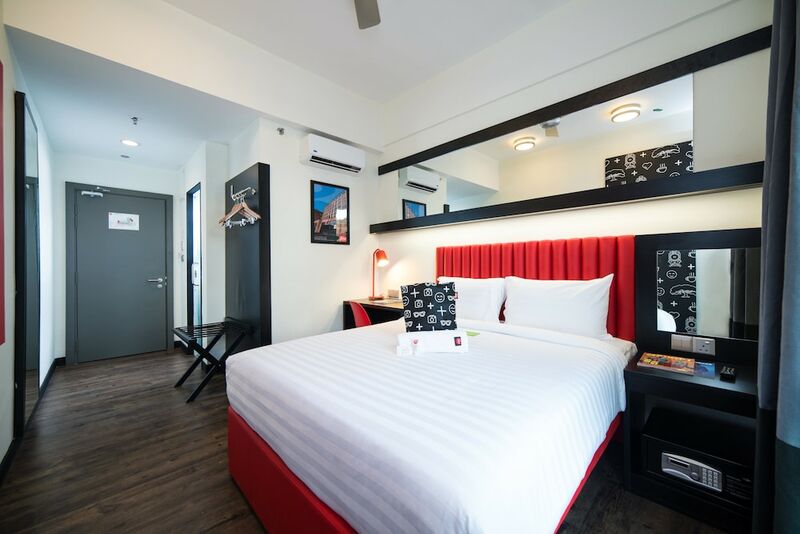 Located in the heart of Taiping, this hotel is 1 mi (1.5 km) from Columbia Asia Hospital and within 3 mi (5 km) of Perak Museum and Taiping Lake Garden. Zoo Taiping & Night Safari and Burmese Pool are also within 3 mi (5 km). A coffee shop/café, a 24-hour front desk, and free self parking are available at this hotel. WiFi in public areas is free. All 113 rooms offer free WiFi, rainfall showerheads, and flat-screen TVs with satellite channels. Free bottled water, ceiling fans, and hair dryers are among the other amenities that guests will find. The hotel offers a coffee shop/café. Wireless Internet access is complimentary. Limited complimentary onsite parking is available on a first-come, first-served basis. Tune Hotel - Taiping has designated areas for smoking.